Sitting next to my wife in ICU, standard for a night stay in here after her type of procedure. We'll move to a regular room after a MRI to check the leads in her brain. Two things. First - bald chicks are hot!!! Second, and this part makes this post somewhat card related, check out the view from the room we are in. 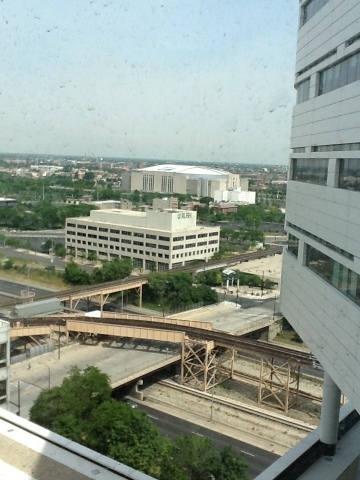 That's the United Center, home of the Blackhawks and Bulls.